(CNN) Alicia Keys took us to "Club Keys" as host of the Grammys on Sunday night, and viewers seem open to becoming regulars. (The last woman to host was Queen Latifah in 2005)"I think @aliciakeys was one of my favorite parts of the #GrammyAwards the most perfect, genuine & gracious host," wrote musician Leona Lewis on Twitter. 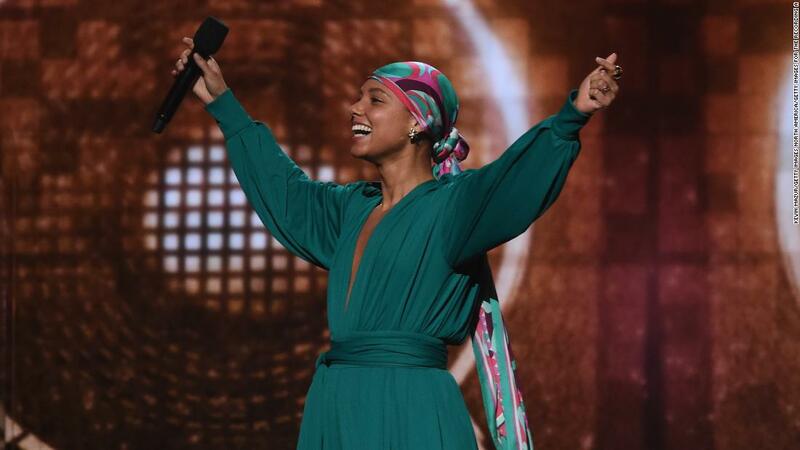 Alicia Keys onstage at the Grammys"Music is just, you know, those songs that just live inside of you. Mayer, with the other half of the Grammy in hand, joined Keys to present this year's award in the same category. John Mayer and Alicia Keys show the Grammy they splitThe night was not without missteps.